Coulter Partners is proud to announce its sponsorship of British soprano Sophie Pullen as she begins her studies on the English National Opera’s esteemed Opera Works programme this autumn. 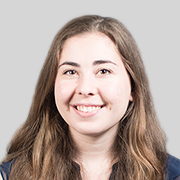 Sophie became an integral member of the Coulter Partners team in 2011 when she worked as the personal assistant to CEO, Bianca Coulter before departing to commence her studies at the Birmingham Conservatoire. 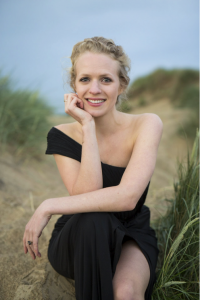 Having graduated with a Distinction in Vocal Studies and the Postgraduate Diploma Prize for Excellence, Sophie has since established herself as an outstanding singer and performer. Now with a successful musical career as a soprano, Sophie has won one of twelve places on the ENO’S Opera Works course. Coulter Partners is delighted to be supporting this rising star as she takes up such a prestigious opportunity. Sophie’s musical skill has awarded her the Förderpreis der Stadt Torgau at the Internationale Sängerakademie 2015 in addition to a grant from Opera Prelude for lessons with legendary Wagnerian soprano Dame Anne Evans. Her success continues as she now embarks on the English National Opera’s Opera Works programme. As Britain’s only full-time repertory opera company, the ENO is the perfect setting for dedicated and talented singers to pursue a career in opera. During her time on the course, Sophie will receive both individual coaching and participate in group workshops to enhance her vocal and dramatic abilities. It is a unique opportunity to gain exclusive insight into the world of professional opera and learn from distinguished experts within the ENO. Sophie will study intensively at the beginning of 2017 leading up to the ENO Opera Works Showcase on 13 April 2017 where she will perform in front of an audience of casting directors, agents, friends, families, and sponsors. More and more, Coulter Partners is looking at the ways in which the arts and sciences complement one another and Sophie’s career is a testament to the success of such a combination. Whilst her musical talent led her to join the Youth Opera at Glyndebourne aged seventeen, she later decided to enrol in Leeds University to study for a BSc in Mathematics. 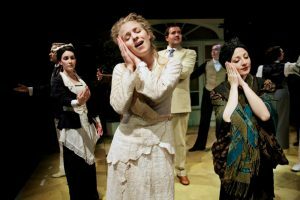 As well as achieving a first class degree, Sophie pursued her passion for singing by joining the university’s opera society and participating in youth opera before enrolling in Birkbeck University to study opera. More recently, Sophie has continued to foster the art-science relationship as a tutor of science and mathematics in addition to her main occupation as a soprano. From mathematics to music, science to singing, and from Coulter Partners to the English National Opera, the interplay of arts and sciences has been a dominant theme through Sophie’s career to date. Sophie has proved herself to be an exceptionally accomplished soprano, with a considerable repertoire of diverse roles she has already performed. At Birmingham Conservatoire, she combined her studies with a number of operatic performances such as Lauretta in Puccini’s Gianni Schicchi and Galatea in Handel’s Acis and Galatea. Since then, she has sung in renowned venues including The Royal Albert Hall, Southwark Cathedral, and Birmingham Symphony Hall and performed such roles as Kate Pinkerton in Madama Butterfly, Atalanta in Xerxes, and Adina in L’elisir d’amore. In the last year, she has sung at the BAFTA Games Awards, performed aboard the Minerva in Peru and Chile, and directed, scripted, and sung in two shows at the Kino-Teatr in St Leonards-on-Sea with local and international performers. With such extensive experience in opera, oratorio, and recital, Sophie’s singing career has gone from strength to strength. “We are delighted to support Sophie in her studies with the ENO and look forward to following her artistic career through this next important stage. I wish her every success and am more than a little jealous of the exceptional opportunity she has ahead of her!” – Bianca Coulter, CEO. Lecture Recital for Opera Prelude: Soloist in Mark Austin’s ‘Faustian pact’: an introduction to the Faust legend and its music. Golden Days Recital with mezzo soprano Rosie Clifford, part of Opera Prelude’s outreach programme performing for nursing homes in the Westminster area. Soprano Soloist: Haydn’s The Creation with Bexhill Choral Society at St Augustine’s Church. Opera Prelude Golden Days Recitals with tenor Richard Dowling. Arias from Mozart’s Idomeneo with Buxted Symphony Orchestra at St. Leonard’s Church, Seaford in aid of Christian Aid. Recital with soprano Iuno Connolly and pianist Yoko Misumi at the Army & Navy Club on Pall Mall.